The building, situated in Via San Felice in the historical centre of Bologna, is characterised by its decorative paintings and stucco work, created in the eighteenth century by – amongst others – Emilio Manfredi, Francesco Sardelli, David Zanotti with the sculptural furnishings in stucco attributed to Giacomo Rossi. 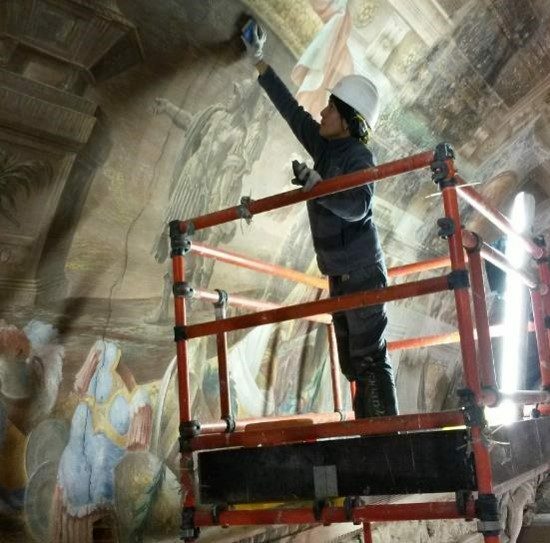 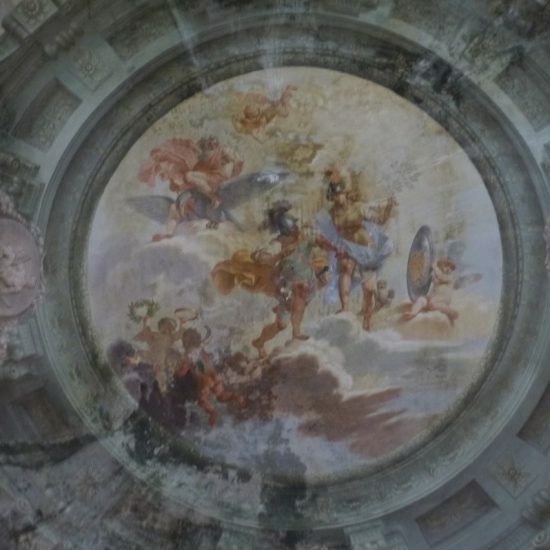 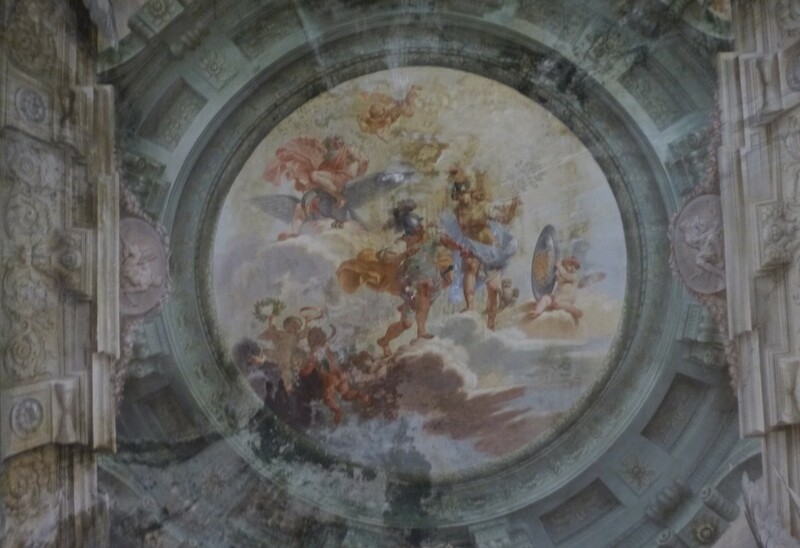 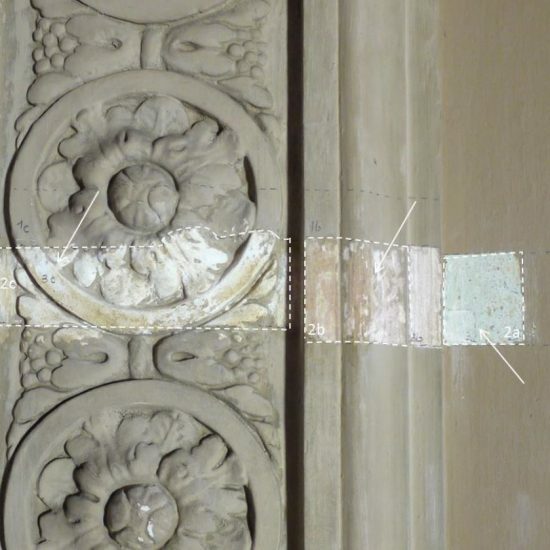 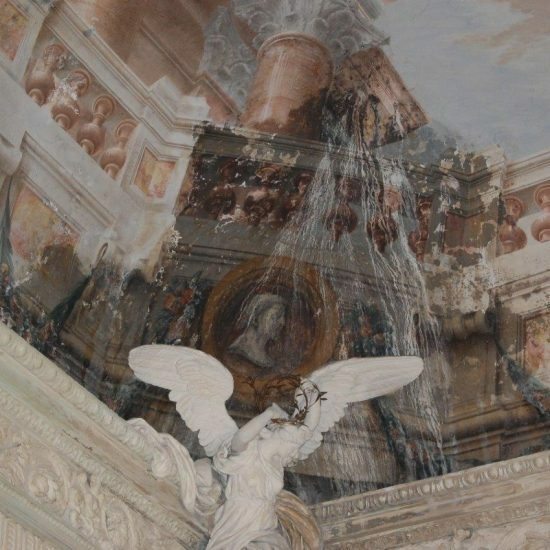 The restoration work on the decorative surfaces of certain of the spaces in Palazzo Pallavicini saw a preliminary phase of study and precise documentation in an artistic-historical analysis and technical operations, in stratigraphical and laboratory analyses and a detailed analysis of the degradation, and a necessary and fundamental diagnostic phase to institute a correct and proper restoration. 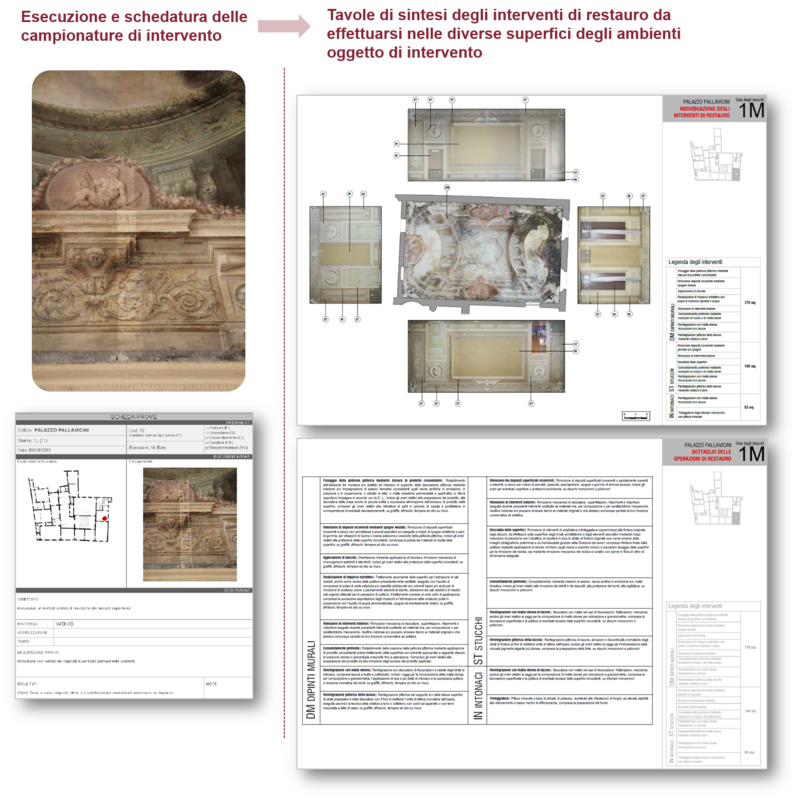 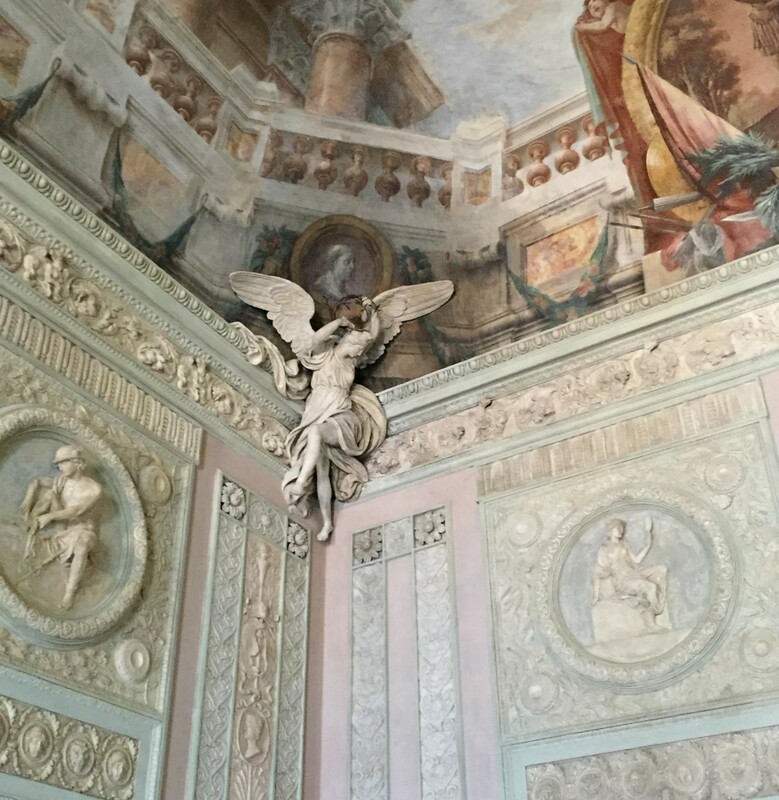 The restoration intervention concerned the rooms 1L (The Room of the Eagles), 1M (Stucco Room), 3D (Bologna Room), 3E (Little Oval Room) and 3F (Hallway). 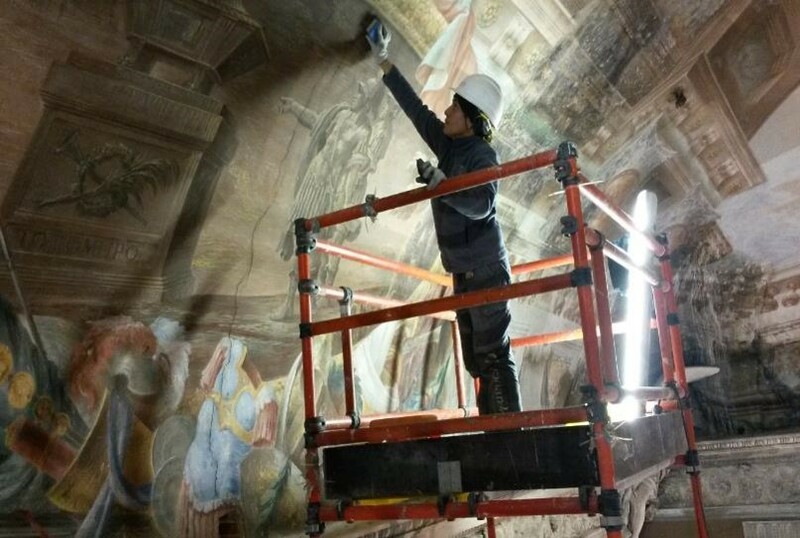 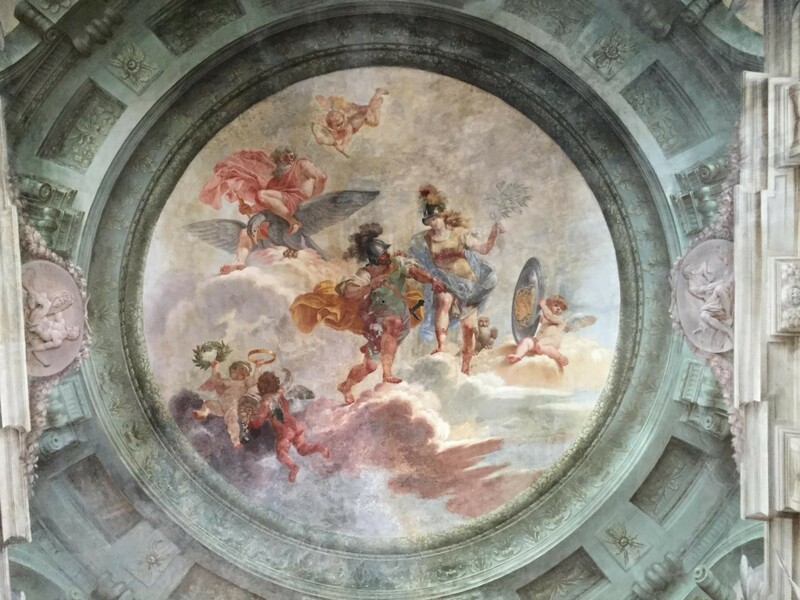 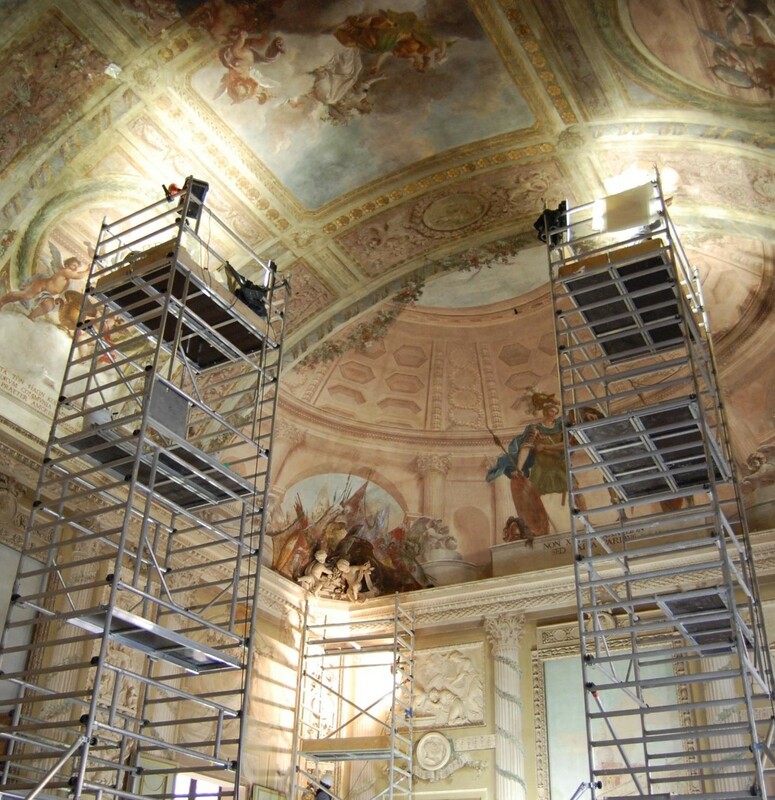 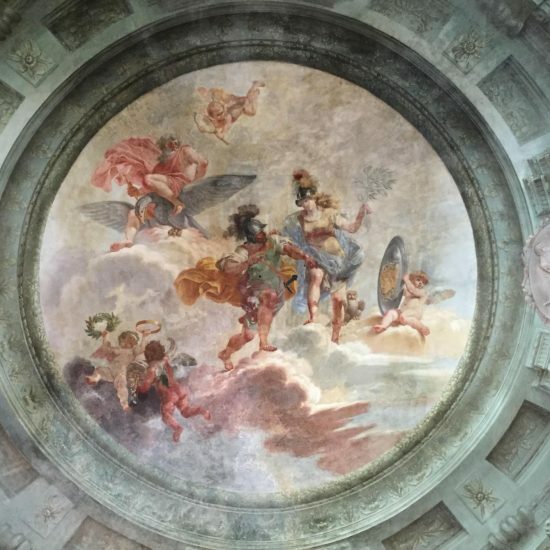 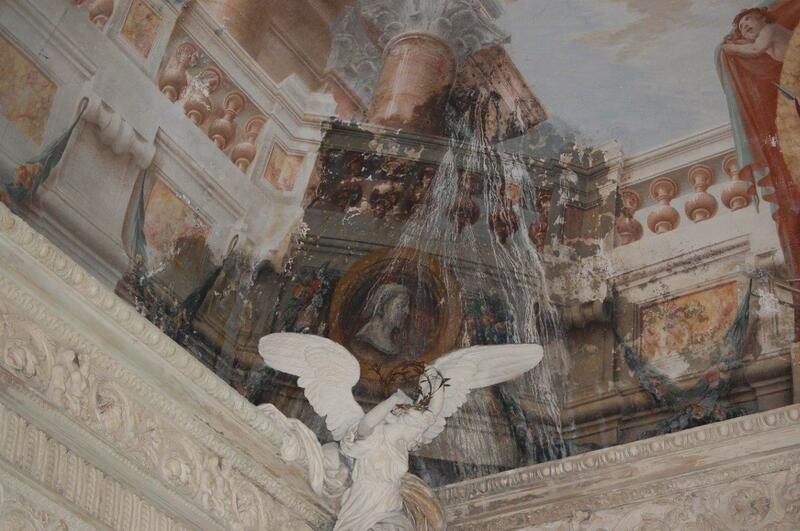 The restoration was concerned with both the paintings on the vault and the stucco decorations on the walls. 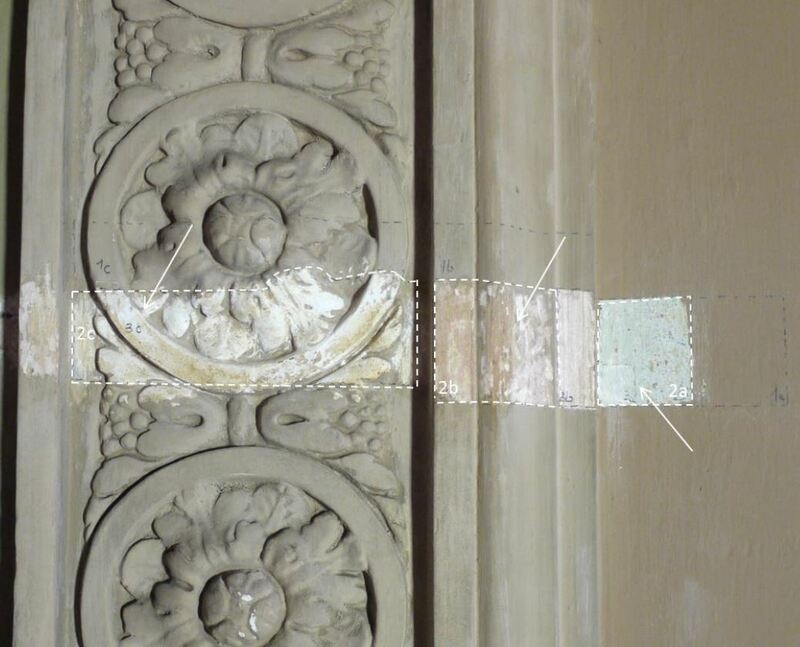 The major difficulties concerning the wall paintings in all the rooms were the presence, on one side, of a thick layer of surface deposits partially sticking to them which obscured the legibility of the work, not to mention the damage caused by the water infiltration, both on the surface of the painting and on the support behind. 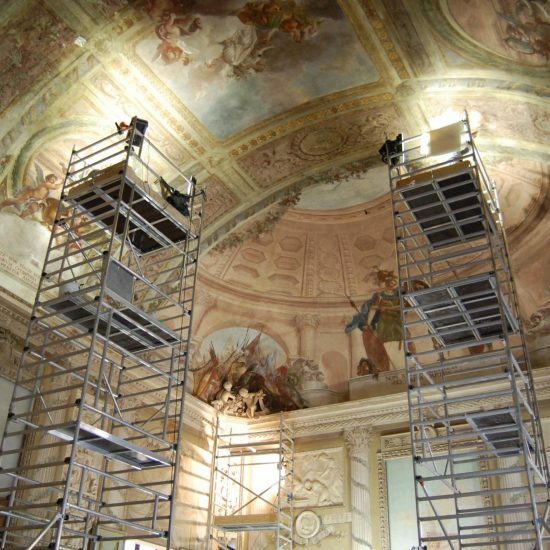 In the huge sections in which there was colour alteration, absorption poultices were employed to extract soluble salts and for the cleaning of the stains, which were interfering with the legibility of the work. The restoration works were carried out with the support of the Edilverde & Beni Internazionali Spa with Demus Dalpozzo (Architect) as Director of Works.